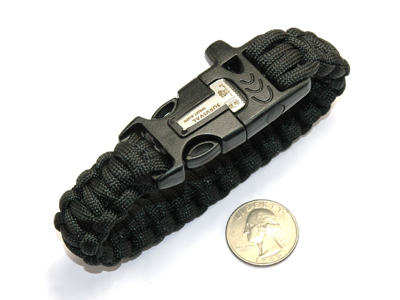 You will have quick access to several feet of 550 paracord that can be used in an emergency or survival situation when wearing one of our Paracord Survival Bracelets. 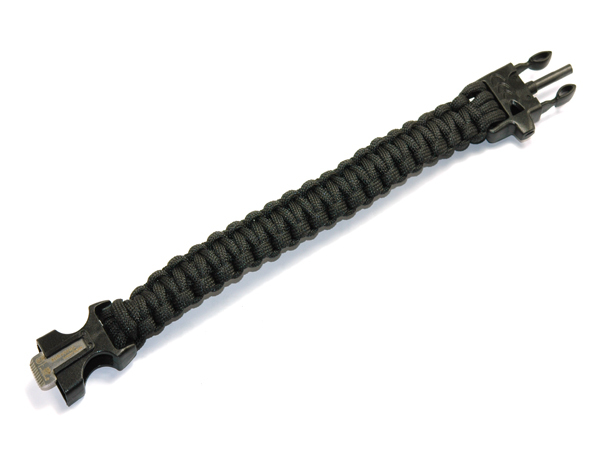 When hand weaving our bracelets, we do not skimp on paracord, but we also do not tie them too tight, so they are comfortable enough and appropriate for wearing every day. 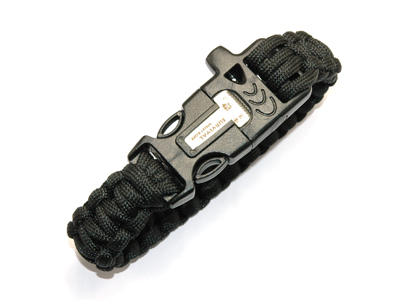 The parachute rope thickness is 1/8 inch (3 mm) and around 11.5 feet (350 cm) in total length. Buckle size is 3/8 inch (20 mm). Our bracelets measure exactly what the circumference is with the buckle closed. After you measure your wrist with a string, round up to the next size bracelet we have. So if your wrist measures 7.25 inches, then get the 8 inch bracelet size. Note: If you feel that your bracelet is too loose, simply wear it in the shower and it will shrink down a bit.